The school provide a bus service for students, with five routes covering Enfield, Winchmore Hill, Palmers Green, Southgate, Hampstead, Cricklewood, Hendon, Finchley, Woodside Park, Friern Barnet, Whetstone, Canons Park, Edgware, Mill Hill, Arkley, High Barnet, Totteridge, East Barnet, New Barnet, Cockfosters and Hadley Wood. All routes are reversed in the afternoon. 108 Crown Lane, Southgate third shop in. 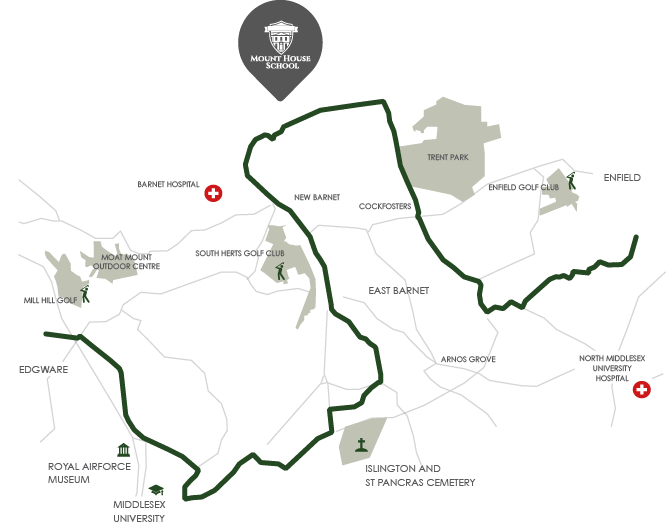 We also run Shuttle Services between the school and the main local stations at Hadley Wood Overground, High Barnet Northern Line and, Cockfosters Piccadilly Line .